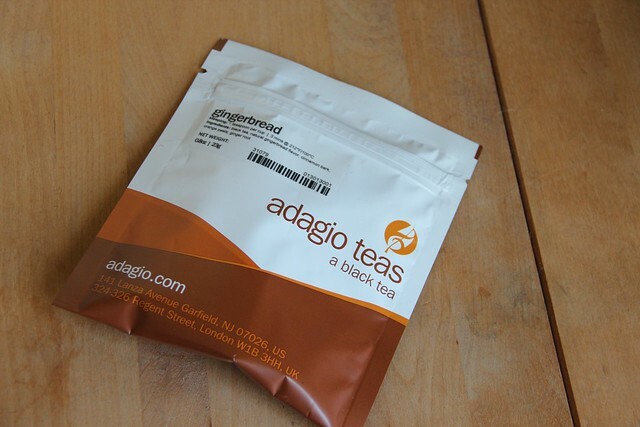 Another holiday blend I picked up in my last Adagio order was Gingerbread. 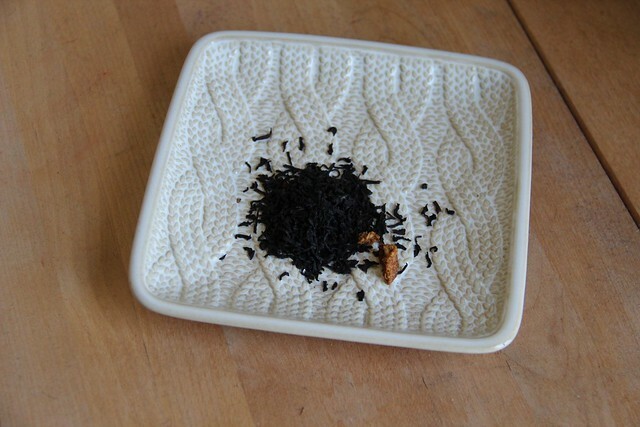 From the label this blend includes black tea, natural gingerbread flavor, cinnamon bark, orange peels and ginger root. It is available in the following sizes: sample for $2 and 3oz for $7. When I opened this bag I wasn’t sure what to expect. I definitely got hints of ginger and orange. Once brewed I got more of the black tea with a subtle ginger/orange aftertaste. I had been expecting more of a sweet dessert tea, but I actually really liked this one for its subtlety. A really nice afternoon drink.